Pyeongchang is a county in the province of Gangwon-do, South Korea, located in the Taebaek Mountains region. It is home to several Buddhist temples, including Woljeongsa. It is about 180 km east southeast of Seoul, the capital of South Korea, and connected by expressways and high-speed passenger railways. Pyeongchang's slogan, "Happy 700 Pyeongchang", is taken from its average elevation of approximately 700 metres . Pyeongchang hosted the 2018 Winter Olympics and the 2018 Winter Paralympics. 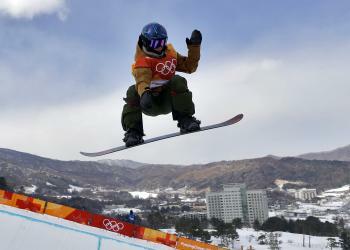 Latest news and discussion about 2018 Winter Olympics host Pyeongchang.